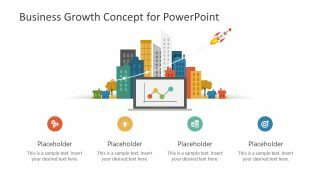 The Business Growth Concept for PowerPoint is a flat vector business presentation template. 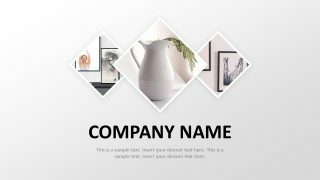 This template illustrates business market with buildings and rocket graphics. This business growth PowerPoint has 3 slides containing infographic icons for multi-purpose presentations. The first two slides provide similar layouts with slight variations. 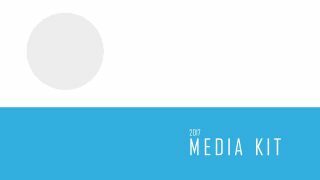 For instance, first layout shows four circular infographic icons in bottom while second design provides two text placeholders instead. Hence, users can select any template design based on their presentation requirements or preferences. Or, modify the existing business presentation slides for an effective concept demonstration. 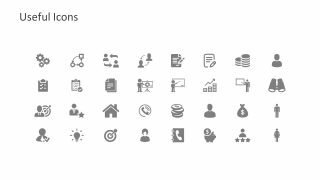 Here, the build clipart icons illustrate business hub, rocket show performance timeline. Whereas laptop screen could present several ideas like advertisement, desktop view of an application, IT features etc. 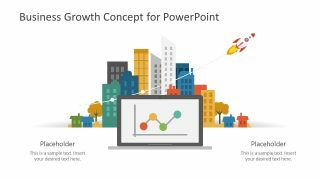 The Business Growth Concept for PowerPoint initially shows gears, lightbulb, stacked coins, and dartboard as circular infographics. These infographic icons symbolically demonstrate startup ideas or project feasibility. Moreover, this business growth template contains a collection of 32 infographics in the slide of useful icons. This slide assists users to replace infographics the other two slides according to their presentation requirements. 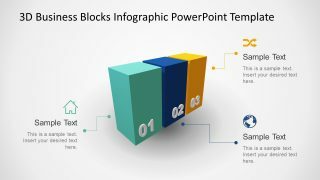 The available graphics of business growth PowerPoint are independent shapes which makes meaningful image together. The rocket launch depicts business startup or product journey with reveals growth and development with simple graphics. The users can explain performance reports and growth scenarios beginning with visually appealing heading slides. 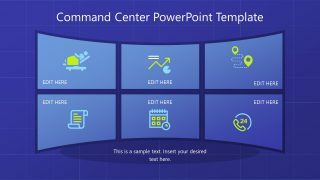 However, this template is ideal for marketing presentations because screens are often used for advertisements.